For the Feast of the Dormition of the Mother of God, here is a classic text from our own times, on how the living tradition of the Orthodox Church is passed down. The monastic life plays a central role in this paradosis, this “traditioning” of the Faith. Icon of the Dormition of the Mother of God, showing the Apostles being brought by angels to her funeral bier. The fact that Archbishop John had extensive theological knowledge meant much less to Eugene than the fact that he was one who knew God and had direct contact with Him. Although his speech was barely intelligible, Archbishop John was able to transmit to Eugene the “heart of hearts” of Orthodoxy in a way that no words could. All the riches of the Orthodox Church — the services, sacred texts, icons, and music — were but the means of becoming what Archbishop John already was. Some time after Archbishop John’s repose, Eugene wrote a passage that indicated what the Archbishop represented in his life. Not wishing to exalt himself in print, Eugene wrote of himself in the third person, calling himself a “young Western convert.” He began this passage by telling of a sermon he heard at the Convent of the Vladimir Mother of God in San Francisco. The Superior of the convent, Abbess Ariadna, had known Archbishop John when he was still in Shanghai, and she recognized his sanctity. “Not too many years ago,” Eugene wrote,” the Abbess of a convent of the Russian Orthodox Church, a woman of righteous life, was delivering a sermon in the convent church on the feast of the Dormition of the Most Holy Mother of God. With tears she entreated her nuns and the pilgrims who had come for the feast to accept entirely and wholeheartedly what the Church hands down to us, taking such pains to preserve this tradition sacredly all these centuries-and not to choose for oneself what is “important” and what is “dispensable”; for by thinking oneself wiser than the tradition, one may end by losing the tradition. Thus, when the Church tells us in her hymns and icons that the Apostles were miraculously gathered from the ends of the earth in order to be present at the repose and burial of the Mother of God, we as Orthodox Christians are not free to deny this or reinterpret it, but must believe as the Church hands it down to us, with simplicity of heart. In that instant the tradition was being handed down to him, not from books but from a living vessel which contained it; and it had to be received, not with mind or feelings only, but above all with the heart, which in this way began to receive its deeper training in Orthodoxy. “The words of the righteous Abbess therefore struck him to the heart, and he understood that there was something deeper to the reception and understanding of Orthodoxy than what our own mind and feelings tell us. In that instant the tradition was being handed down to him, not from books but from a living vessel which contained it; and it had to be received, not with mind or feelings only, but above all with the heart, which in this way began to receive its deeper training in Orthodoxy. “And the heart of this convert, still taking his baby steps in Orthodoxy, longed to know how to believe, which means also whom to believe. He was too much a person of his times and his own upbringing to be able simply to deny his own reasoning power and believe blindly everything he was told; and it is very evident that Orthodoxy does not at all demand this of one-the very writings of the Holy Fathers are a living memorial of the working of human reason enlightened by the grace of God. But it was also obvious that there was something very much lacking in the “theologians” of our day, who for all their logic and their knowledge of Patristic texts, did not convey the feeling or savor of Orthodoxy as well as a simple, theologically-uneducated Abbess. 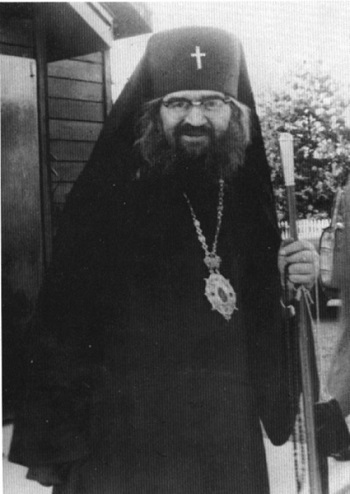 “Our convert found the end of his search-the search for contact with the true and living tradition of Orthodoxy-in Archbishop John Maximovitch. For here he found someone who was a learned theologian in the “old” school and at the same time was very much aware of all the criticisms of that theology which have been made by the theological critics of our century, and was able to use his keen intelligence to find the truth where it might be disputed. But he also possessed something which none of the wise “theologians” of our time seem to possess: the same simplicity and authority which the pious Abbess had conveyed to the heart of the young God-seeker. 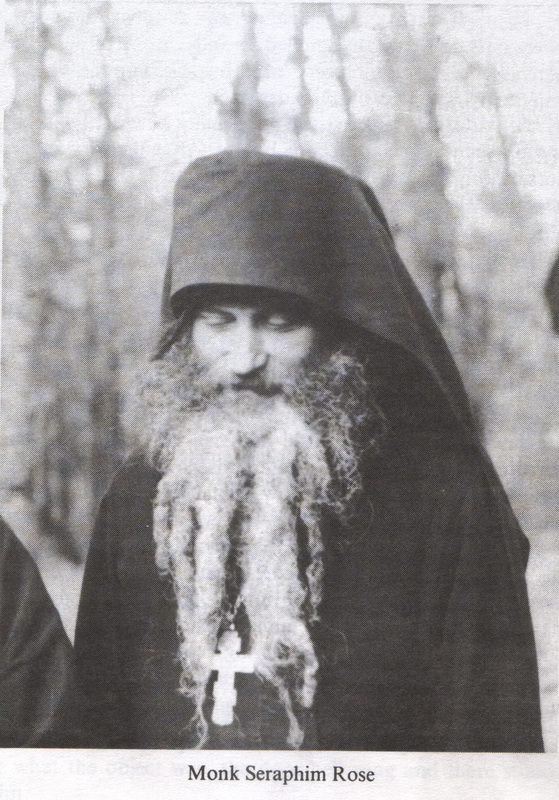 Excerpt From: Hieromonk Damascene. Father Seraphim Rose: His Life and Works, Chapter 27, “Wonderworker of the Latter Times,” iBooks Edition.